New Zealand, although with a small land area boasts many staggering natural wonders. Nature has crafted the country into a beautiful movie set. Some of the regular treasures to explore in New Zealand include the numerous snow-capped peaks, beaches, coastal glaciers, fjords, rainforests, and rivers. Simply said, New Zealand is a photogenic and friendly country with its numerous tourist sites and culture, making it a haven for adventurers and explorers from different parts of the world. New Zealand is divided into two parts: North Island and South Island with each making an incredible destination for visitors. It is naturally packed with amazing landscapes, breath-taking scenery, and lush greenery. A tour of New Zealand is sure to wow every part of your being. Travelers will quickly discover that New Zealand is a dream destination, thus whether you are a first-time traveller or a repeat visitor, you will find this article handy to give you a definitive guide for an amazing time in the country. The National Park is a World Heritage Site protecting spectacular sites in the country. Famous fiords of Milford, Doubtful Sounds, and Dusky were carved into dramatic landscapes that amaze visitors. Explore the offshore islands, virgin rainforests, lakes, and mountain peaks, including the Milford track perfect for hiking. Explore the fiords through sea kayaking. It is the third largest Island after South and North Island. It is a forested Island that has been converted into the Rakuira National Park where you have a chance to explore the wild forests of New Zealand. Experiences to enjoy in the National Park include hiking, birdwatching, and camping. The Northwest Circuit is the most popular hiking adventure in the Island, enjoy spectacular views of the surroundings and access the amazing wildlife of the park. It’s located on the Western Coast of South Island with the Westland National Park being the main attraction. Franz Josef and Fox Glacier, the country’s two most remarkable glaciers are found in the National Park. Franz Josef Glacier is accessible and open to visitors, meaning you can walk through the glacier valley. A guided tour of the glacier valley and soaking up in the hot pools around the glacier makes perfect relaxation spots after hiking. It is a major tourist attraction for its accessibility and dazzling landscape. Tongariro National Park in the North Island, for its spectacular volcanic features and importance to the Maori culture, was listed as a dual UNESCO World Heritage Site. The Tongariro National park with its towering volcanoes, arid plateaus, turquoise lakes, hot springs, and alpine meadows offers so much experience for visitors taking a tour. New Zealand’s largest natural lake is located a few kilometres from the park, making the national park a conglomeration of nature’s best sites. Tongariro Alpine Crossing is a popular location for hikers seeking new challenge. Rotorua is simply referred to as New Zealand’s geothermal wonderland with its numerous geysers and hot springs. New Zealand’s dramatic topography is well demonstrated here with the collections of boiling mud pools, volcanic craters, thermal springs, and geysers that continually erupt at intervals to the delight of locals and visitors. Visitors can take a guided tour or a walking tour of the thermal wonders, soak in the mineral springs while learning about the history and culture of the Maori people. Adventure seekers will find several interesting activities to indulge in at Rotorua including trout fishing, sky-diving, mountain biking, hiking, and skiing in the nearby Mountain Ruapehu. Outside the Rotorua is Wai-o-tapu, also filled with geothermal activity including the Lady Knox Geyser that erupts daily. Unwind after hiking in the geothermal spas. 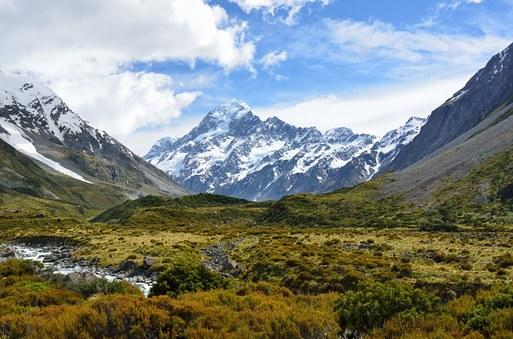 Aoraki or Mount Cook National Park hosts New Zealand’s tallest peaks surnamed Aoraki or Mount Cook. 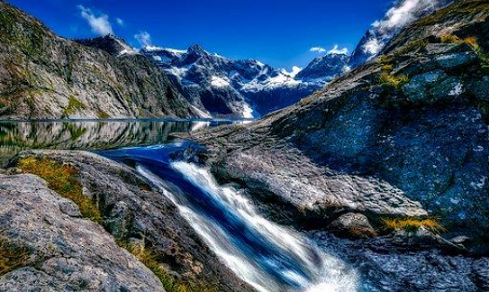 The park is covered with glaciers, hosts the tallest mountain, and the longest glacier of New Zealand, Tasman glacier perfect for mountaineering. Nature lovers will love the diversity of plants and animals in the park. The Mount Cook Village at the base of the camp is perfect for organizing exploration activities of the park and organizing fun activities like ski-touring, hunting, stargazing, hiking, and heli-skiing. The peninsula is famous for its sandy golden and white beaches, coastal scenery, coastal forests, and natural wonders perfect for exploration. Like the other National Parks, it offers excellent hiking and birding opportunities. Fun activities here including relaxing on the golden beaches, sky diving, visiting art galleries and studios, and sea kayaking. End the sightseeing and fun activities with a dip at the Hot Water Beach where visitors can dig a hot pool from the numerous springs under the sands. Queenstown is located between the shores of Lake Wakatipu and the snowy peaks of the mountain range named “The Remarkables,” making a top destination for visitors. Also referred to as New Zealand’s adventure capital, it offers several fun activities such as jet boating, paragliding, rock climbing, downhill skiing, mountain biking, bungee jumping, and jet boating. Visitors can also explore the alpine scenery through the hiking trails. It serves as a great base for visitors planning trips to the Central Otago region to visit the movie set of the Lord of the Rings and explore the gold mining towns. Top off your adventure in Queenstown with wine tasting in vineyards and a spa treatment. The Bay Islands is in the North Island and its waters is home to Penguins, whales, dolphins, and other marine life. The area is popular for sports fishing, sea kayaking, hiking, sailing, and yachting making it a popular relaxation destination in New Zealand. Tourists can also take a tour of the Cape Brett, the famous Hole in the Rock, and the sub-tropical forests. The amazing scenery of New Zealand continues to wow a great number of visitors. Its natural, cultural, and historical monuments must be explored at least once in a lifetime. In the quest for fun, travel with the right outdoor clothing, insurance to cover risks and injuries, a good camera to record moments, and the right mindset to soak in the numerous enjoyment in New Zealand. www.fiordland.org.nz/about-fiordland/fiordland-national-park/ This is how the author of the book “Mountains of Water – The Story of Fiordland National Park” described this stunning National Park. www.nationalpark.co.nz/ Tongariro National Park is on New Zealand’s North Island. The park has 3 active volcanoes: Tongariro, Ngauruhoe (Mount Doom in “The Lord of the Rings” films) and Ruapehu with its ski slopes. www.newzealand.com/int/queenstown/ Adventure awaits you in Queenstown, New Zealand. Tour one of New Zealand’s top travel destinations and find extreme sports or total relaxation. www.state.co.nz/travel-insurance Travel insurance options for people who are going places. Get Fly Buys and 24 hour access to emergency assistance. www.rotoruanz.com/ Kia Ora! Welcome to Rotorua. Visit us in New Zealand’s Coolest Hot spot.